Thailand is one of the countries in the world with the most advanced airports. This is in terms of the way they are developed, easy access and facilities provided. One of these airports is Pattaya Airport, which is also referred as Utapao International Airport. It’s IATA code is UTP. The airport has certification from the International Civil Aviation Organization (ICAO), meaning it meets all international set standards. 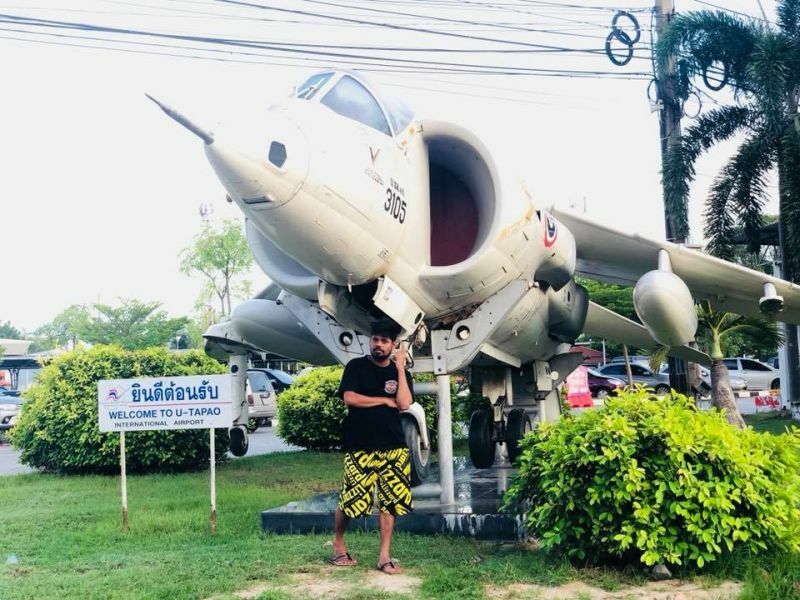 Pattaya airport is a well developed airport that serves both the public and the civil military. It serves as the airfield for the Utapao Royal Third Navy. The airport was developed to meet the international levels as a result of increased demand for flights in the country. 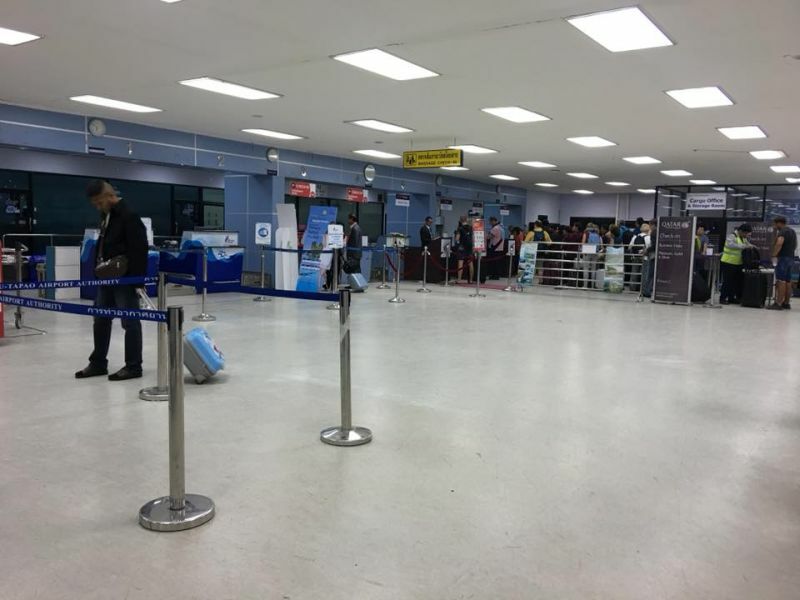 The two international airports in Bangkok were stressed beyond their capacity, making the government take the step to make Utapao airport another international destination for airlines. Until recently, the airport was not well known or developed and only accommodated some charter , not scheduled, flights. In 2015 only 170,000 passengers used Utapao Airport. However in 2016 that leaped to 710,000 and in 2017, the figure was 1,200,000. Making it one of the fastest growing airports in the world. It had small number of both local and international flights but, mainly due to AirAsia expanding their flights and an increase in Chinese airlines that number is ever growing. Terminal 2 is the latest phase in the expansion and upgrading of Utapao Airport. This addition means it has the capacity to handle up to 3,000,000 passengers annually. In the coming years additional terminal and also construction of a second runway are under discussion with the Royal Thai Navy, who own the site, the civil airline authorities and Thai government. The second runway will be 3,500m long and capable of handling Airbus A380 flights. The U-tapao expansion project is expected to enable Utapao / Pattaya airport to handle 15 million passengers within the next five years, 30 million in the next 15 years and 60 million in the next 20 years. it is an ambitious plan that also ties in with the Thai government’s plan to develop and bring hi-tech industries to the east of Thailand. The News section of this site includes more information on expansion plans for the airport. Terminal 2 is expected to be fully operational in February 2019. 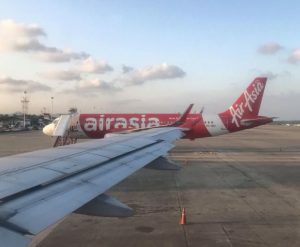 New flights: AirAsia announced the start of a Utapao to Khon Kaen flight from 21 December 2018 onwards. 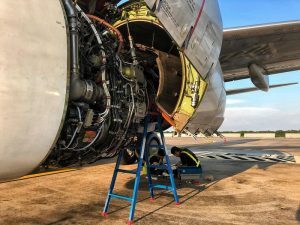 Using an Airbus A320 flights will depart Monday, Wednesday, Friday and Sunday from U-tapao at 0700 arriving in Khon Kaen at 0800. Pattaya airport is located in Ban Chang, Rayong, about one hundred and forty kilometers South East of Bangkok. Aside from Suvarnabhumi and Don Meuang, it is the closest international airport to Bangkok. Driving from Pattaya to the airport takes between forty five to fifty minutes. 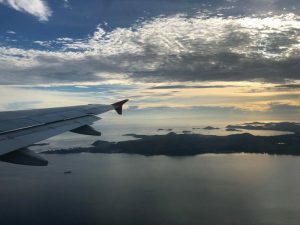 Pattaya is a major tourist attraction in Thailand, so the airport is gaining popularity as a destination route for tourists and other international flights. The other fact that makes the airport popular is that the other two major international airports in Bangkok are overpopulated, making it a great choice for many. Its strategic location also allows it serve the wider Eastern Seaboard and Rayong City in an effective manner. Utapao Airport has two terminal buildings that serve both international and local flights. The original terminal, Terminal 1 has an area is 3,000Sqm and can accommodate 400 passengers at a time. 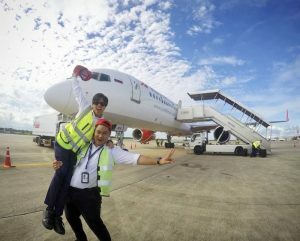 As this wasn’t large enough to cope with increased demand, especially from companies like AirAsia, a second terminal opened in late 2017. Terminal 2 has an area of 20,000Sqm and can easily cope with 1,200 passengers at a time. This upgrade means that Utapao Airport has a capacity of around 3 Million passengers per year. And this is also planning on being expanded in the coming years, along with the addition of a second runway. The current 3,505 meter long runway can handle the world’s largest passenger plane – the Airbus A380. On the apron there are stands for a total of 49 planes. The airport has several ground transportation options. This means that it is easy to travel from and to the airport. You can decide to hire private taxis or rent cars that are readily available outside the airport terminal. In addition, there are also many hotel shuttles that offer transport services. These shuttles transport passengers directly to their hotels. There is a bus/taxi service desk located near the end of the terminal that helps plan transportation to your destination. Whether this is your first time to visit, you can rest be assured that you find things easy as you move to and from the airport. Despite that the terminal is not as big as other two airports in Bangkok; it has several facilities that make the passengers feel more comfortable. Some of the features available include a refreshment center, informational desk regarding medical care, lost and found, baggage and money exchange services. The car park is also spacious enough to accommodate a lot of cars. The airport has parking facilities for both short term and long term. To maximize security, the parking offer regular patrols that ensure all the cars parked are secure. Short term parking is 20 Baht per hour for a maximum of 6 hours. Longer than that is charged at 140 Baht per day. Covered parking bays are available. It is only a two minute walk form the car park to the terminal building. There is a coffee shop where you can enjoy your favorite coffee cup as you relax after arrival or before you depart from the airport. All your meal needs are also well catered for. There is a restaurant that serves food from different cultures. Here you can enjoy your favorites dishes or drinks at a favorable price. In case you want to gather more information about Thailand or any other information, there is an internet café where you can search for all details you need. Getting to the airport is easy as a result of the many transport services available. Regardless of the city you are from, you can get a transport service that will help you reach there at the right time. If you want to get to the airport from Pattaya city you can opt to travel with a minibus located in Central Festival. If you are from Bangkok, you can opt for air conditioned buses stationed at the Eastern Bus Terminal. There are also vans, private taxis, mini cabs and vans that offer transport to the airport from other towns. More on the transport options here. With the expansion and upgrading of Pattaya airport, there are several airlines available. These airlines fly to different destinations locally and internationally. Some of the major local destinations include Chiang Mai, Phuket, Hat Yai, Udon Thani and Koh Samui. Popular international destinations include Macau, Shanghai, Nanning and Nanchang in China and Kuala Lumpur in Malaysia. In the recent times, the airport has airlines that fly to other major cities in the world. Nok Air to Changsha, Nanchang and other Chinese cities. The presence of the Royal Thai Navy Air Station makes Pattaya Airport a bit sensitive. So, you should never feel worried when you find a lot of military personnel around. It is also worth noting that you are not supposed to take photos out of the aircraft window during landing or taking off. To get the best services when departing or arriving at the airport, make sure that you have all your travel and personal documents. This does not only ensure that you go through the entire process fast, but also help enhance the operations at the airport. Make sure you carry only the permitted items to avoid falling into problems with the authorities at the airport. How much is parking at Utapao per day, and for five days. Parking fees are 140 Baht per day ( 24 hours ). So five days will be 700 Baht total. There isn’t any specific long term motorbike parking. But you can leave your bike at the airport. Is there any halal food? The nearest hahal restaurant is on the main road opposite the entrance to the airport. i traveled to Utapao airport on flight number TOM 456 on 6 February (arriving on 7 February) from Birmingham (BHX). I left my Kindle in seat 16G. is there any chance that this has been found? if so how can i recover it please? Thank you for your help. My e mail is bg@berrybanks.co.uk. Thanks for your message. However you will have to contact the airline. If the Kindle was found, their staff will have it. Is there a muslim prayer room? Yes. There’s a Muslim prayer room in the terminal. This is a very useful website with a lot of great information for passengers. Well done.